There are far more Inca Trail hikes and treks in Peru than the famous Inca Trail to Machu Picchu. In this blog post, we share four alternative hikes and treks that follow portions of the Qhapaq Ñan, of which the Inca Trail is just one. So, if trekking Peru is on your adventure travel bucket list, then don’t fail to read on. What is the Qhapaq Ñan? 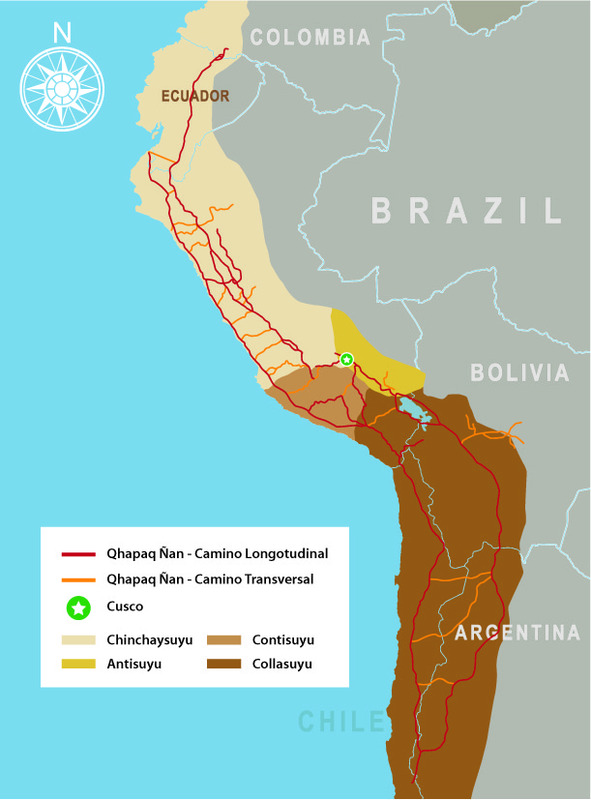 The Qhapaq Ñan is a UNESCO-recognized road system that once connected the length and width of six countries. Today, much of the Inca-laid road remains buried under dense vegetation, while other stretches have taken on a new identity as iconic trekking trails full of wondrous Andean scenes dotted with crumbling ruins and exotic wildlife. In Peru, a large portion of the Qhapaq Ñan has been unearthed, providing a vast variety of trekking options for your adventure tour in Peru. Though a trek along the Inca Trail to Machu Picchu is deserving of the hype it has taken on, there are other hikes and treks equally worthy of an adventure traveler’s attention. This easy day hike in Cusco takes you to some of the Inca’s lesser-known sites, including the “Face of the Inca” Temple, Temple of the Moon, and Temple of the Monkeys. The portion of the Qhapaq Ñan that you’ll follow is the same stretch of road that once connected Cusco to the Antisuyo (Peruvian Amazon) via the Sacred Valley. This moderately difficult 14-kilometer (8.69-mile) hike takes you along the Qhapaq Ñan, past the spectacular 80-meter-tall Perolnyioc Waterfall and to the ruins of Raqaypata, one of the most important and impressive administrative centers of the Incas. The trail is a grueling uphill climb, but the Sacred Valley views at the ridge are worth every breathless step forward. This 4-day trek (5-day to include the Machu Picchu tour) is the ultimate alternative to the Inca Trail trek. The Salkantay Trek to Machu Picchu takes you along Inca trails that run through Andean valleys, remote communities, cloud forest, and over high-altitude passes. The trail ends in Aguascalientes, just downriver from the citadel. Rest in town for the night and rise early the next day for a tour of Machu Picchu. Also, a 4-day trek with a 5th day for exploring Machu Picchu, this Salkantay Trek differs from the classic route by allowing you to arrive at Machu Picchu via the Sun Gate (Inti Punku). This is the same way Inca Trail trekkers arrive to the citadel. The journey there delivers nonstop spectacular views of Apu Salkantay’s southern face, entirely away from the crowds. Explorandes is one of the premiere adventure tour operators in Peru and the first to begin operating treks along some of Peru’s most famous routes. For more information about trekking Peru on your holiday in Peru, reach out to us today!